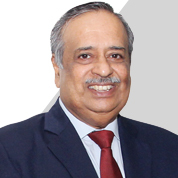 Mr. M. Damodaran is the Non-Executive & Independent Director on the Board of the company. He has held a number of important positions in the Central and State Governments and in India's financial sector, including Chairman, Securities and Exchange Board of India (SEBI), Chairman, Unit Trust of India (UTI), Chairman, Industrial Development Bank of India (IDBI), and Chief Secretary, Government of Tripura. After successful tenures at UTI and IDBI, where he led the turnaround efforts, and at SEBI, where he introduced improved corporate governance practices, he set up Excellence Enablers Private Limited (EEPL), a Corporate Governance and Board Advisory consultancy firm. His pioneering role in promoting Corporate Governance in India invests EEPL with an experience-based leadership role in corporate governance advisory work. In addition, he is presently a consultant, advisor, coach and mentor and serves on the Boards of some leading companies as well as on the Advisory Boards of some foreign entities.